I am shocked, honestly shocked. 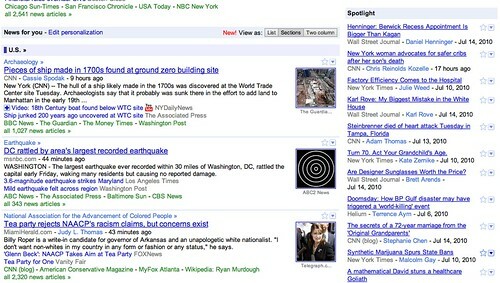 Google recently redesigned Google News, and based on our poll, 85% hated the new design. I have been tracking complaints in the forums for weeks now and the complaints have no slowed. I really thought Google would not care, like with the complaints with the Google fade in and web search redesign but they did - they caved and they made changes to appease their users. 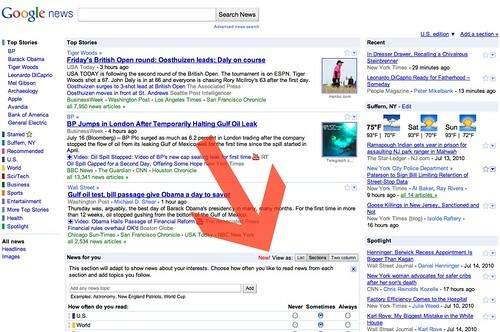 Fred from the Google News team posted a Google News Help thread about this update. He said, "We’ve been reading these forums and following all of your feedback closely. In large part because of the feedback we’ve received here and elsewhere, Google News has just launched a “Two-column” view in the News for you stream." So far, it seems not everyone is happy yet. I really suspect this is the last major change based on complaints from Google. 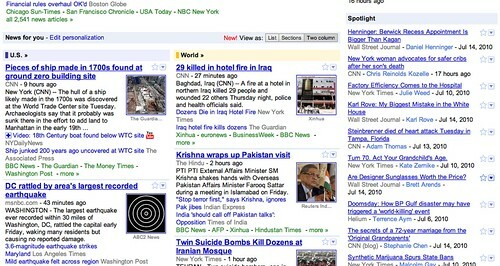 New Poll, do you now like the new Google design?